Remember when you were single or in school and you used to spend a lot of time when you had nothing better to do looking after yourself? I used to spend hours exfoliating, moisturizing, having a bath, giving myself at-home facials and doing my nails while watching something girly on TV. Somehow between getting married and being busy with work, these things tend to fall through the cracks. Knowing this, I've recently reinstated at-home Friday nights because quite frankly, I deserve some me time. Since I go to the gym on Friday evenings anyway, it makes sense to just come home after a good healthy sweat sesh, have a little dinner and then get in the bath and enjoy some pampering. It's a great way to get ready for the weekend ahead... Of course if there's something epic going on, I go out, but most of the time at the end of a busy week, I just want to decompress, relax and get my house in order so to speak. 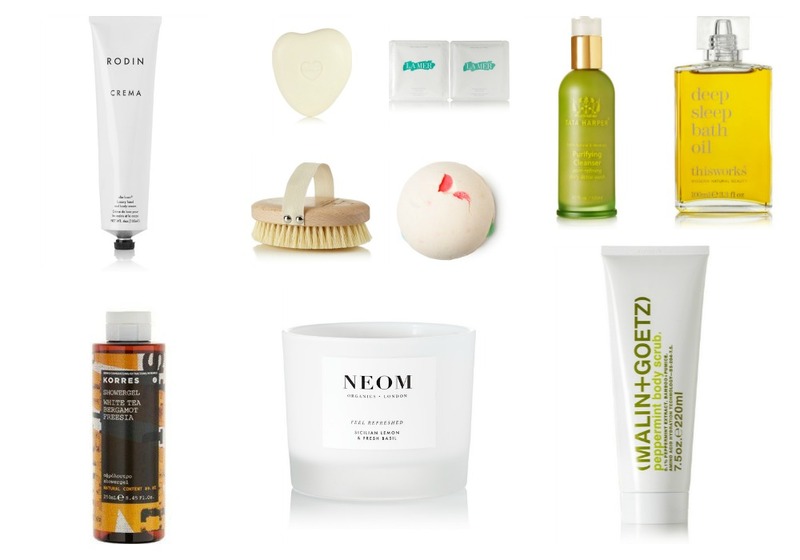 It all starts with a relaxing bath and these picks are on my Friday night bath time wish list!